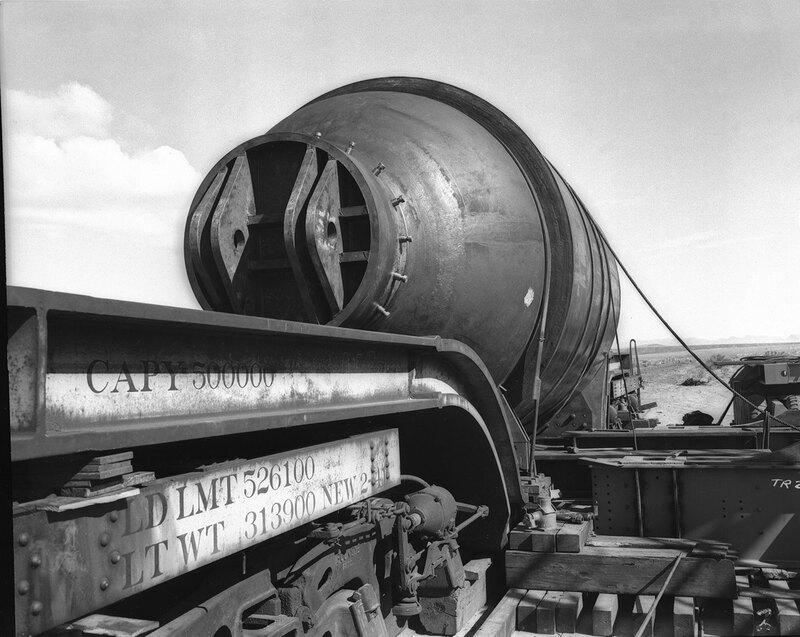 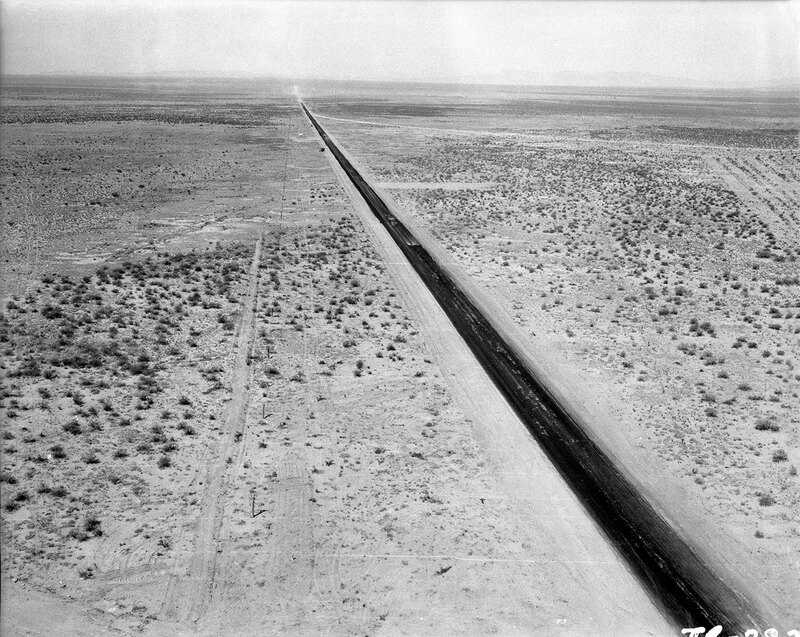 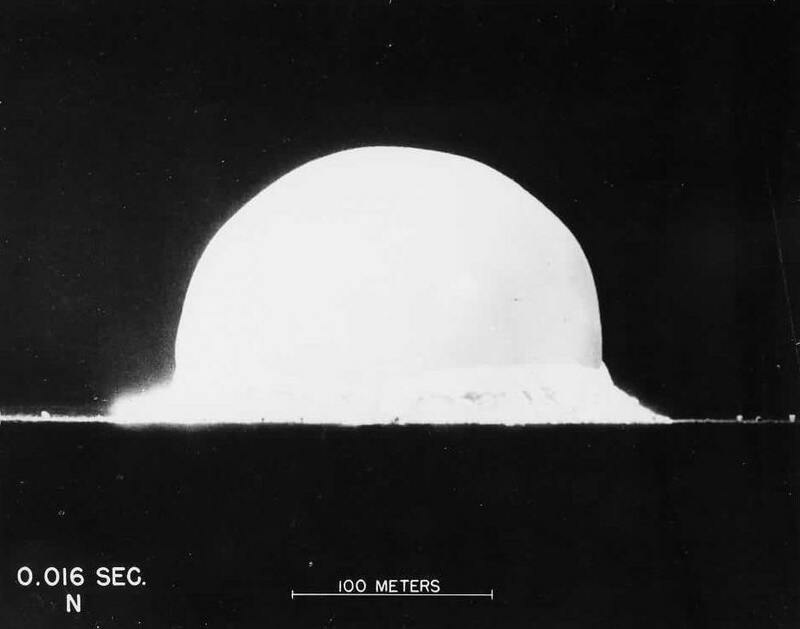 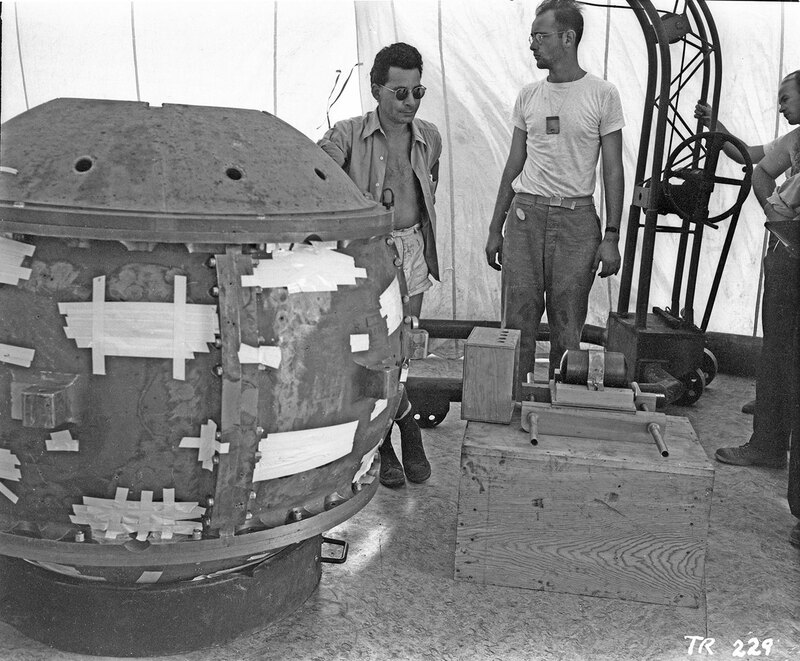 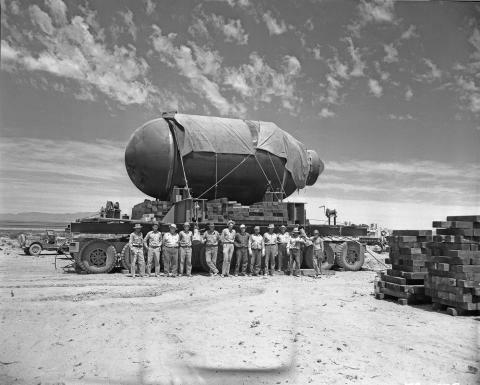 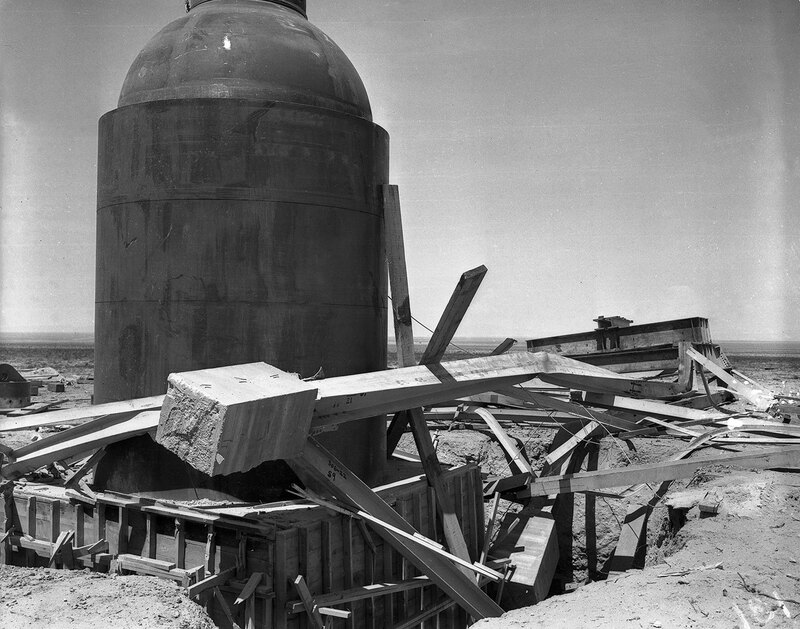 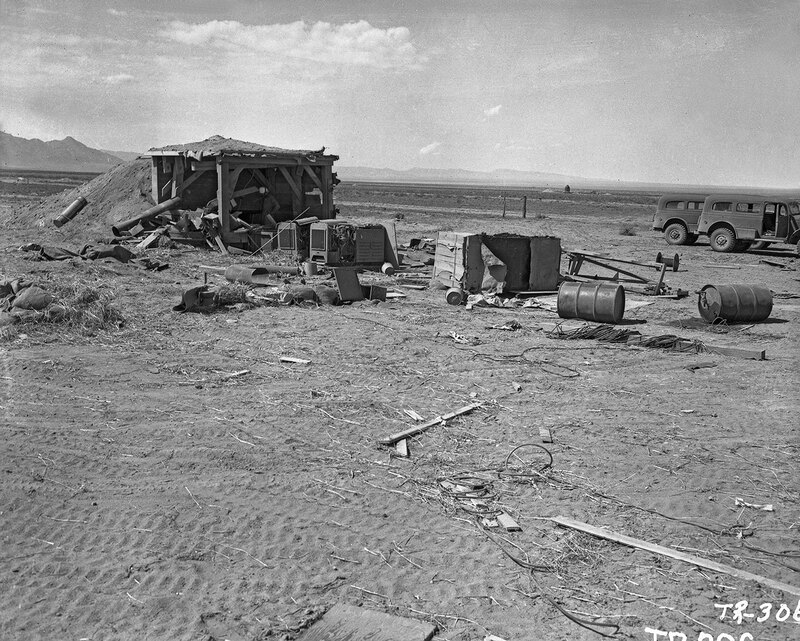 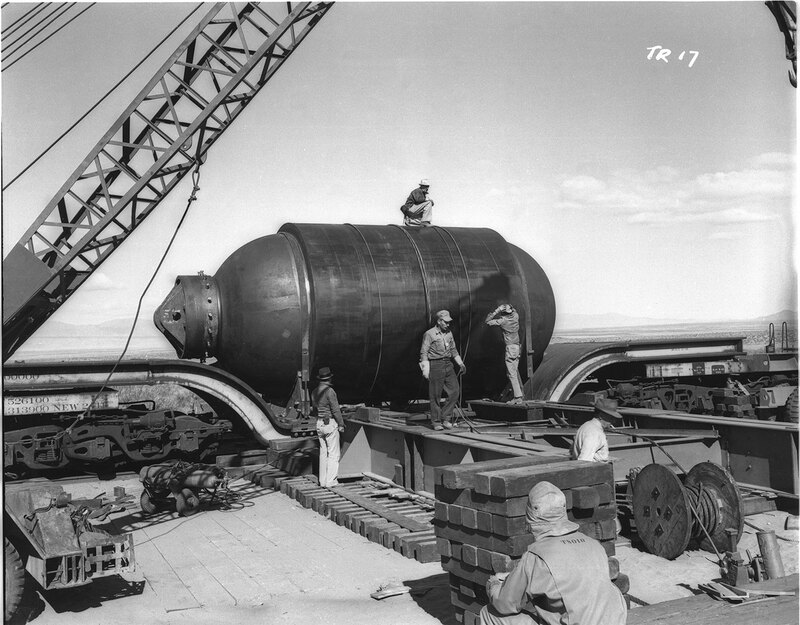 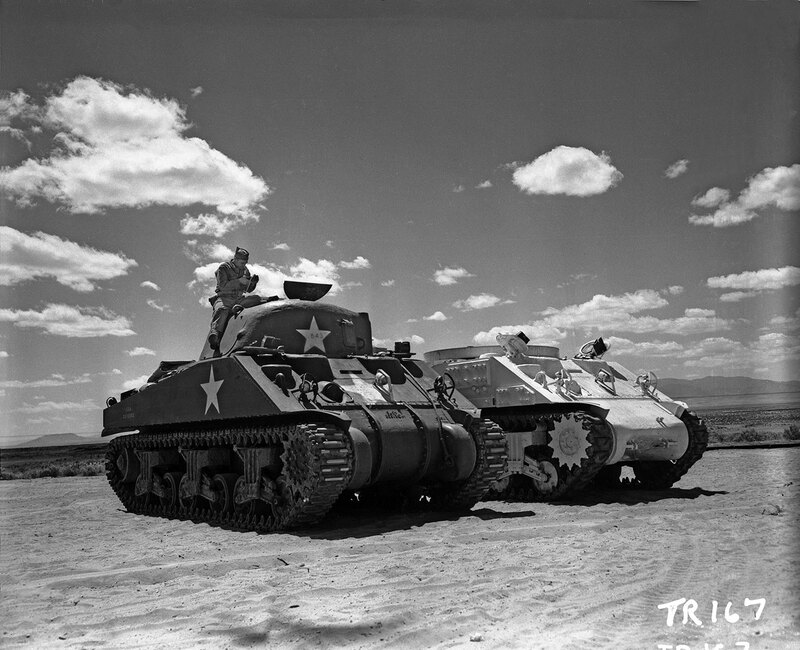 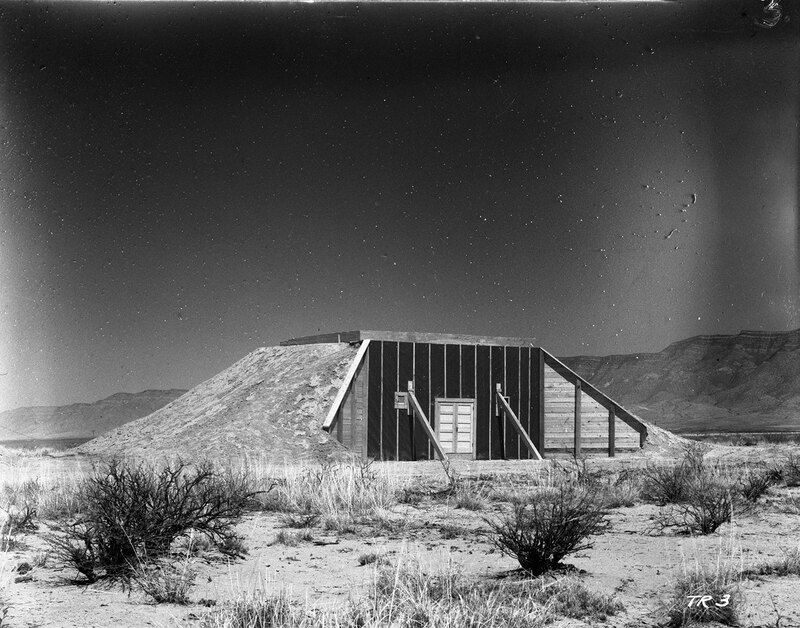 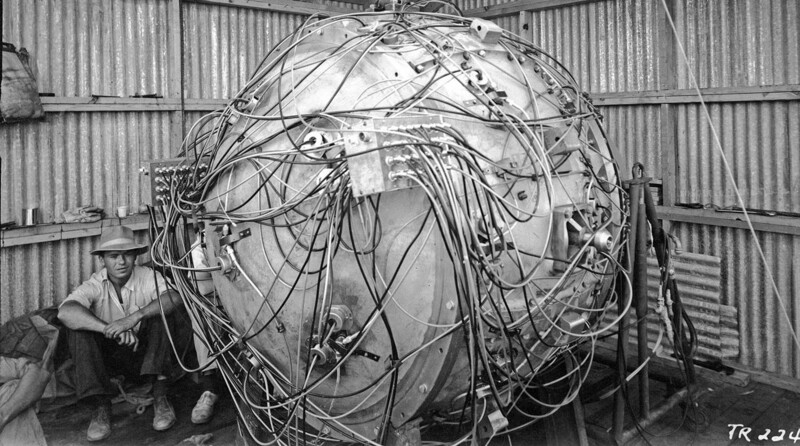 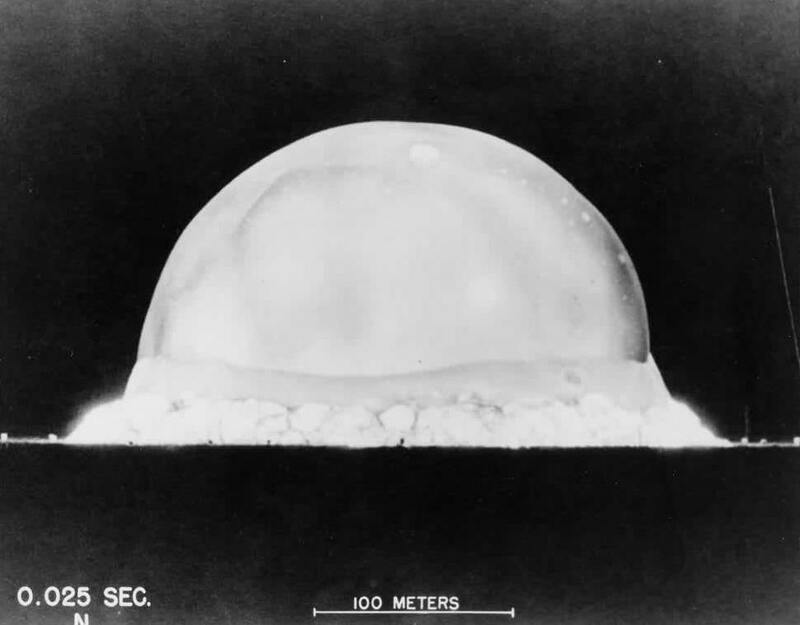 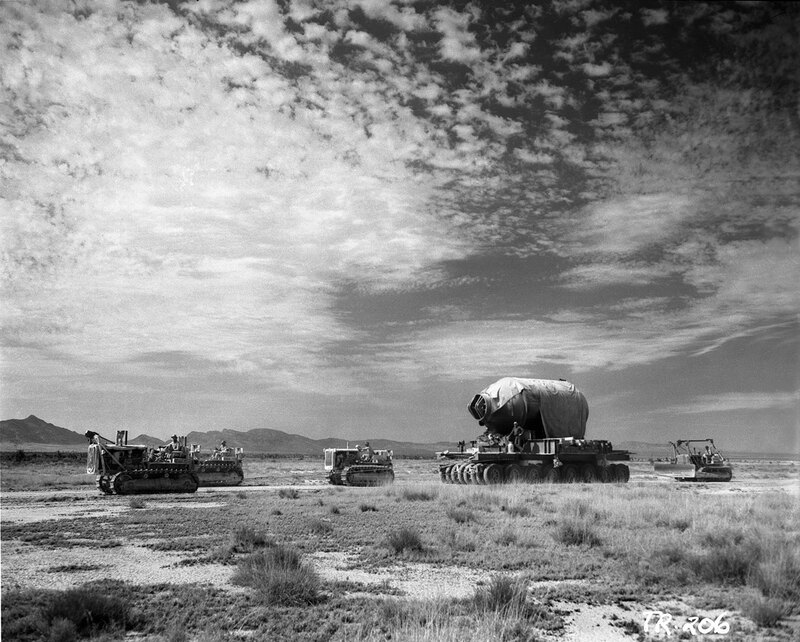 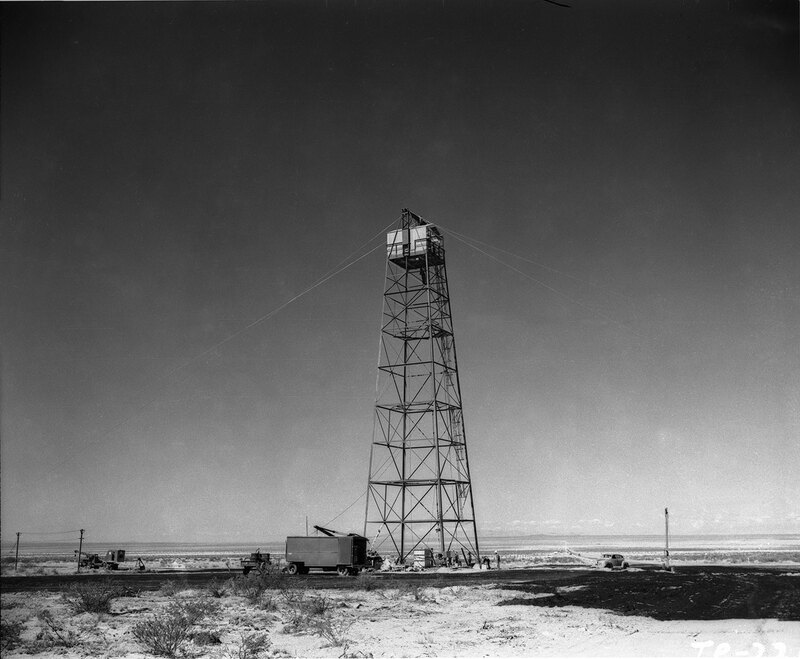 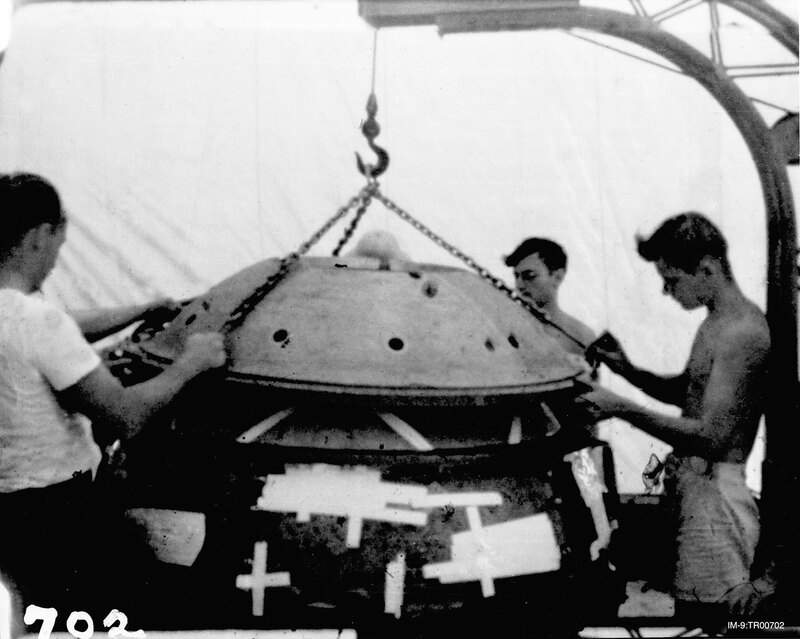 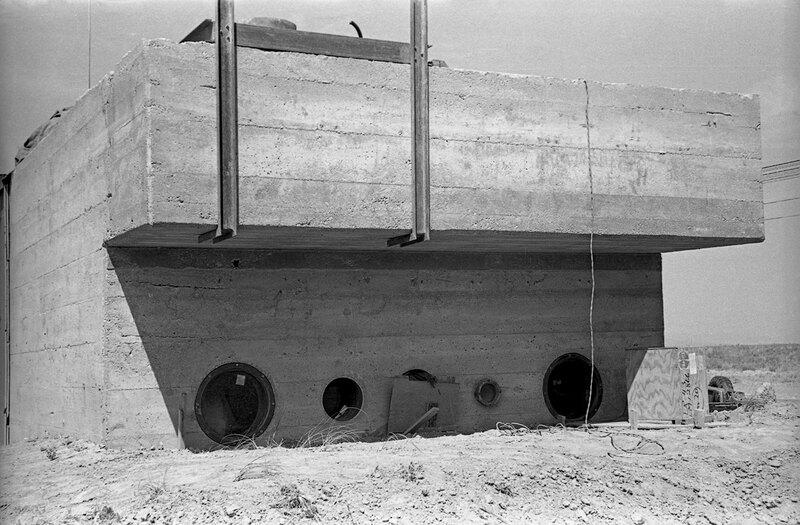 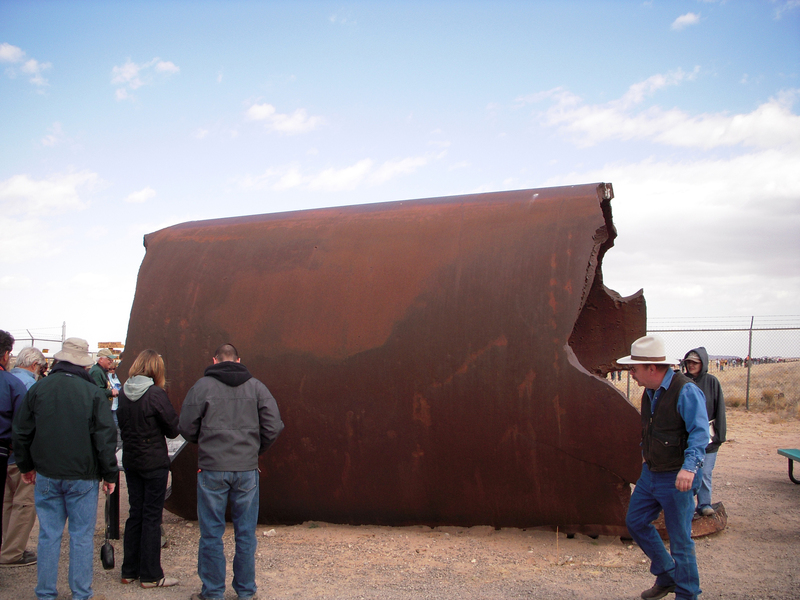 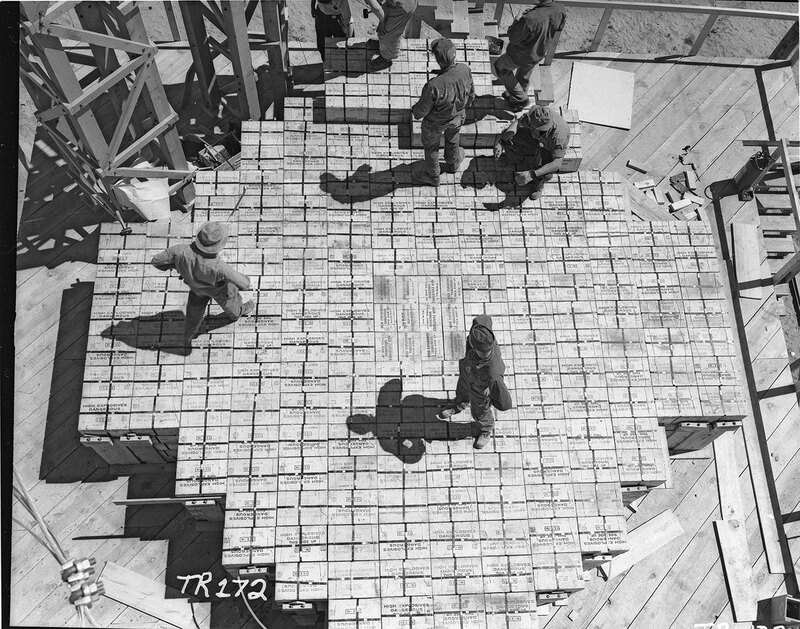 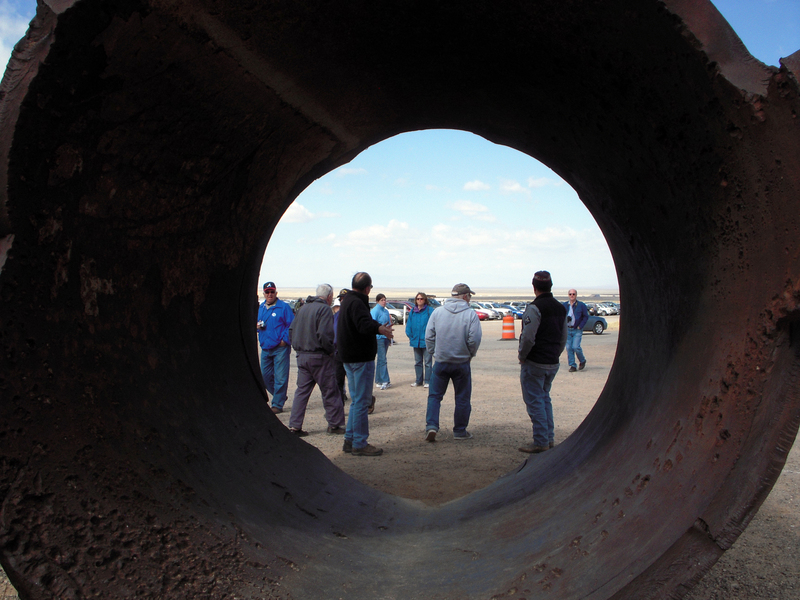 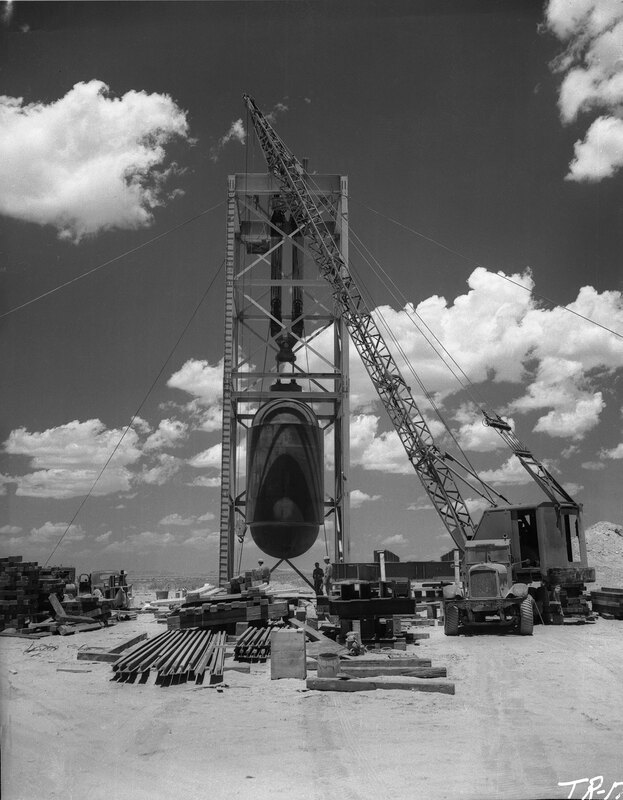 Jumbo was designed by Los Alamos lab to act as a failsafe device for the Trinity test explosion. 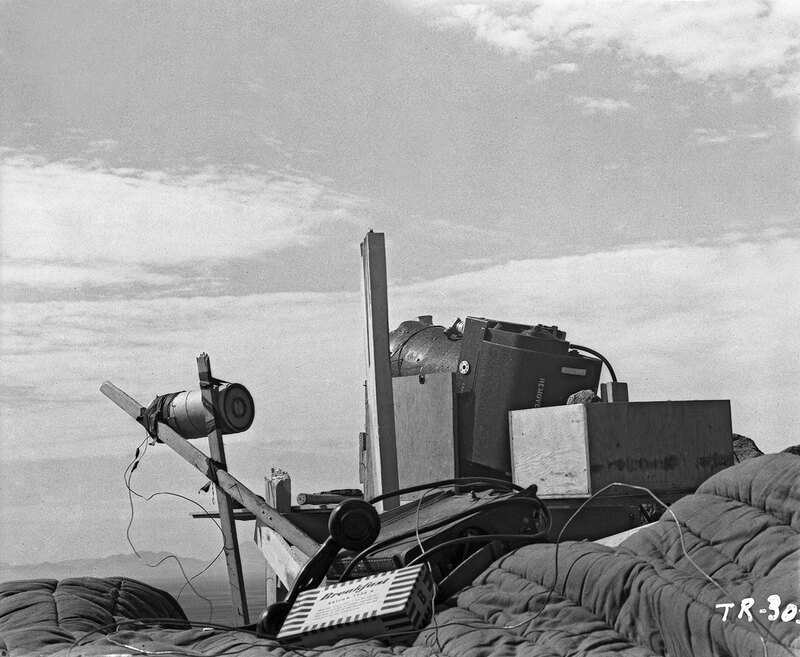 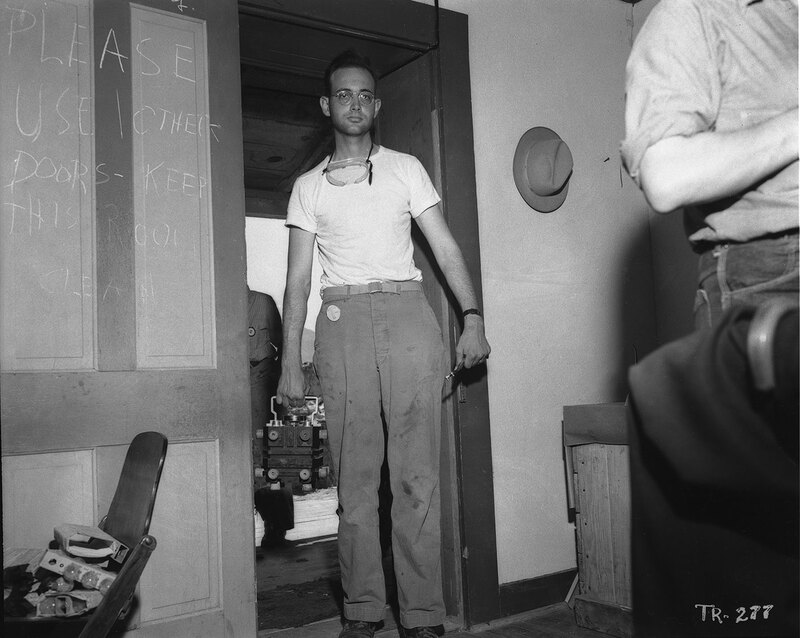 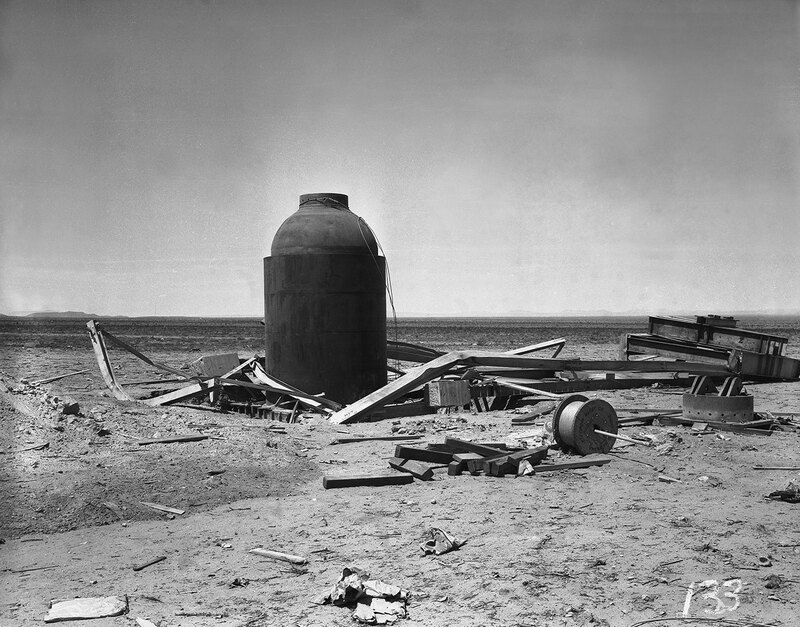 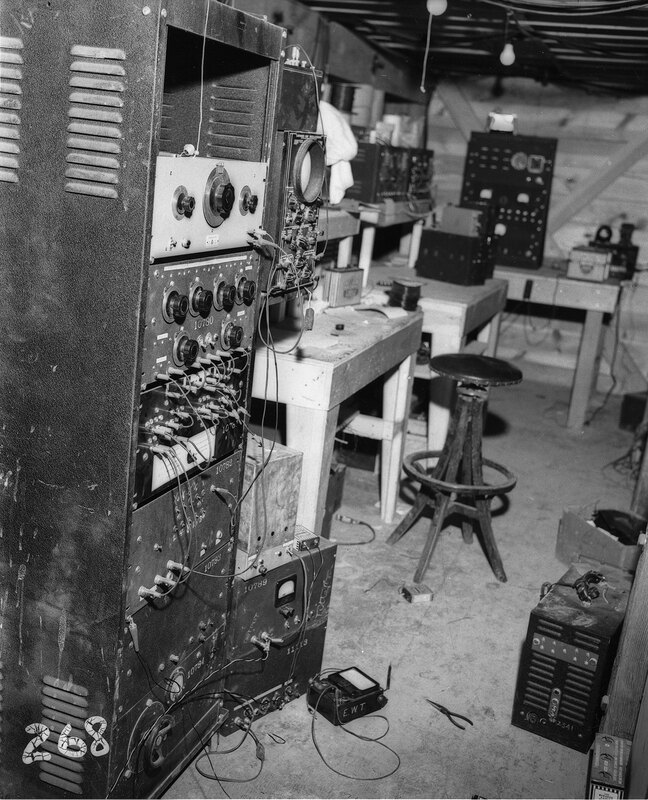 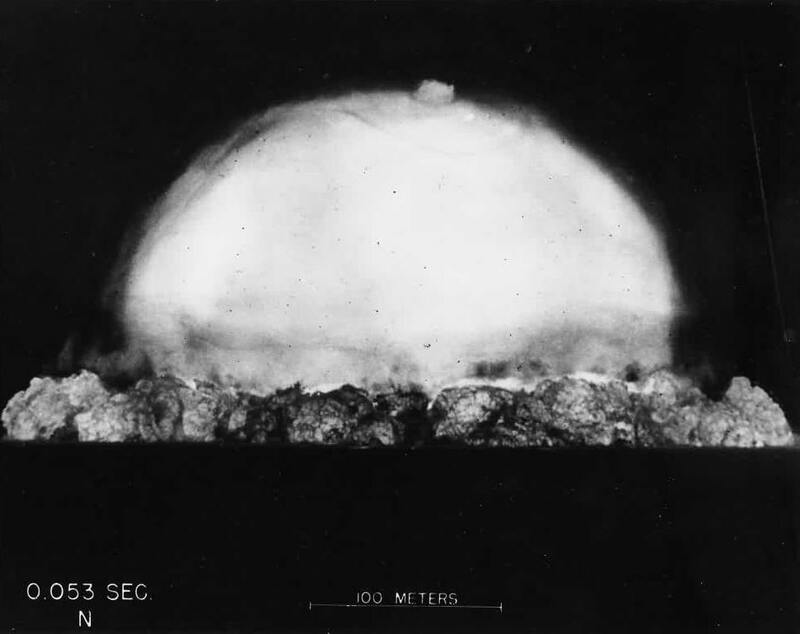 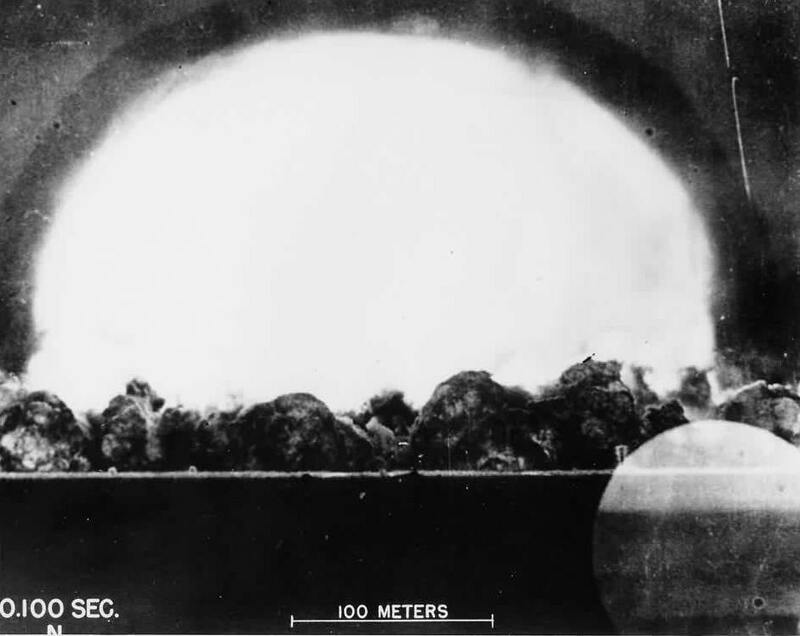 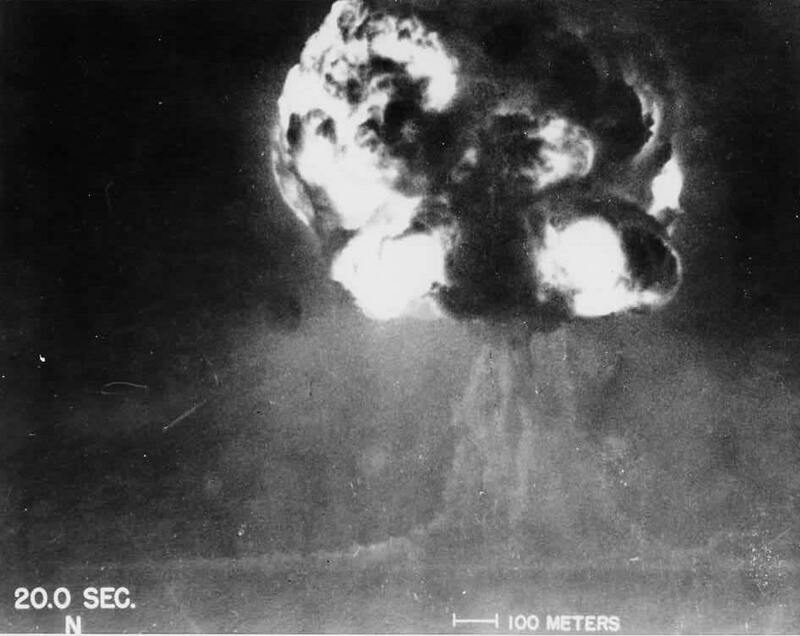 At 5:29:45 on July 16, 1945, "Gadget" exploded and the Atomic Age began. 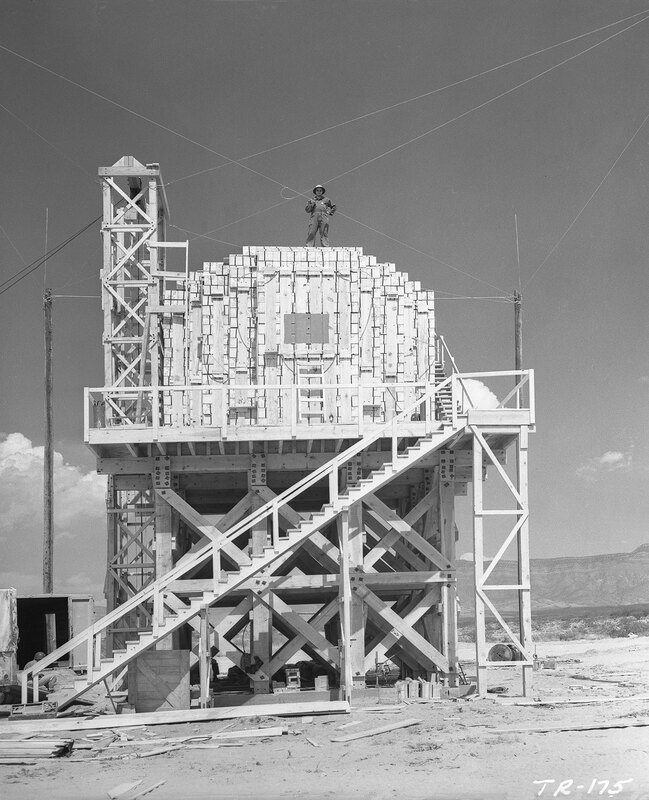 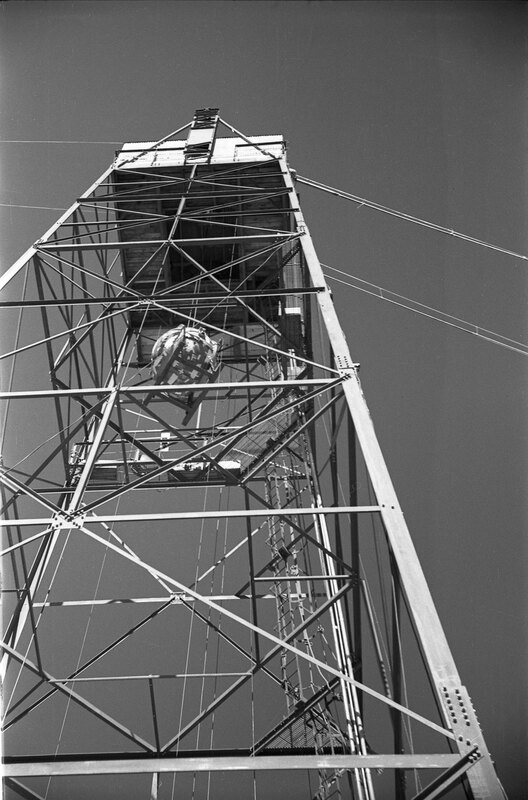 The Gadget in the test tower. 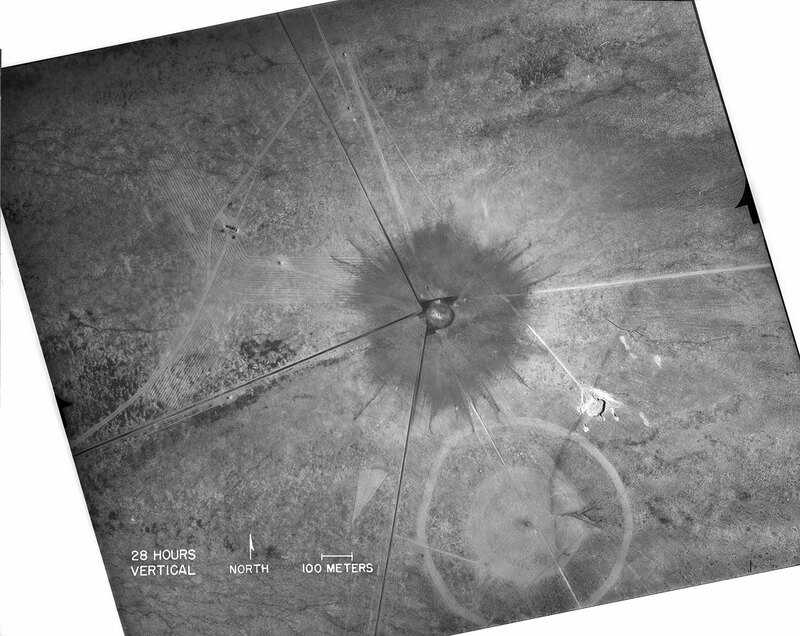 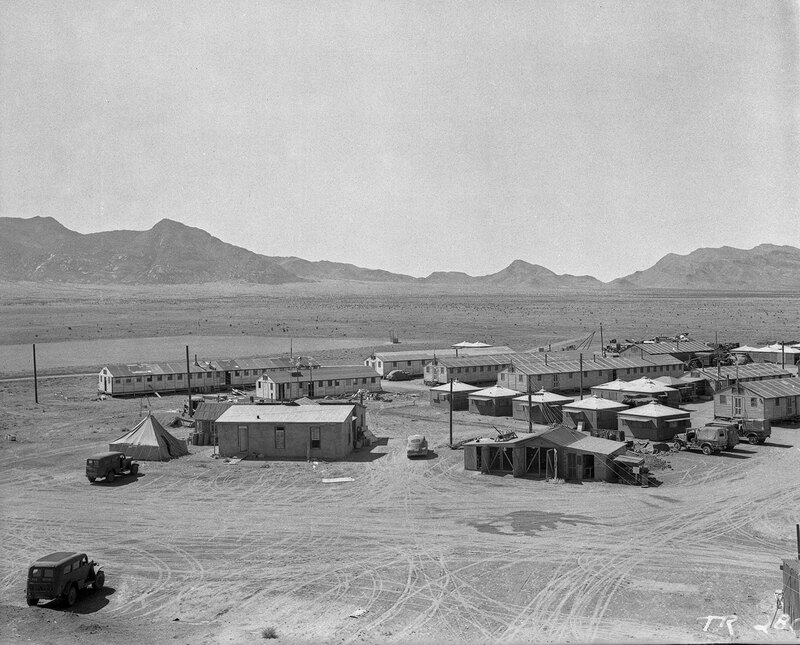 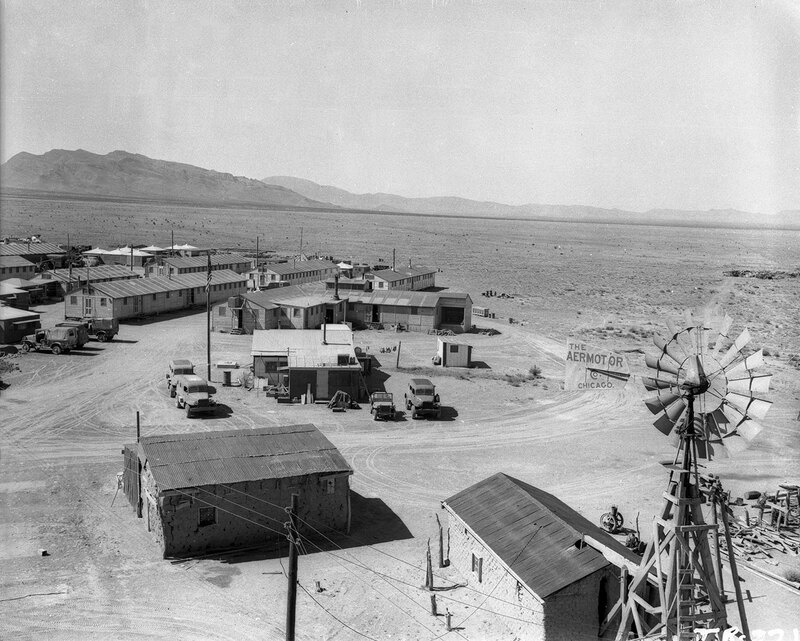 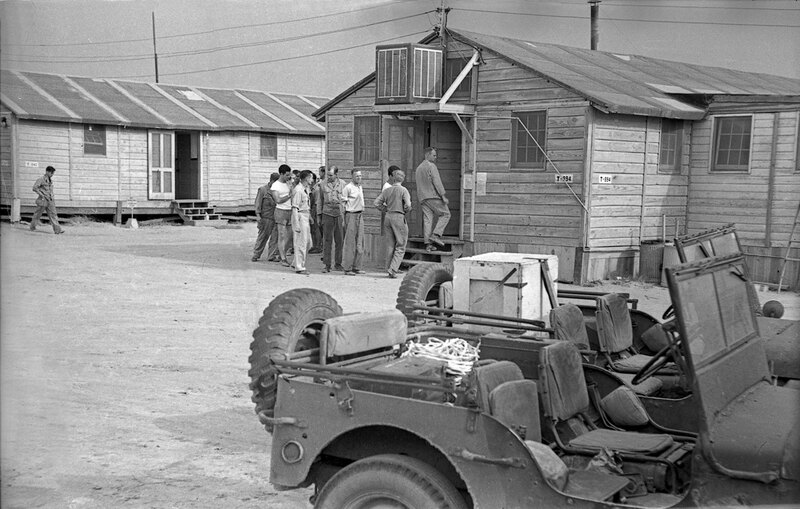 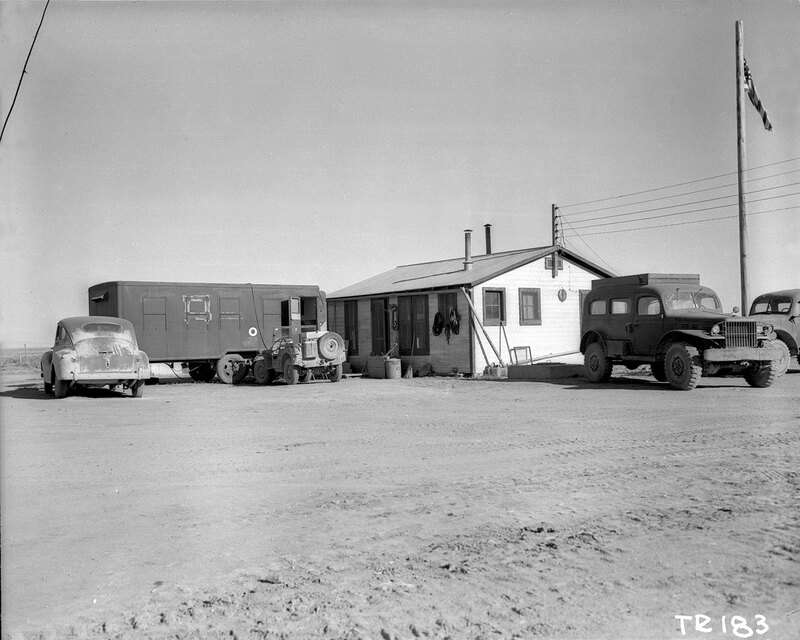 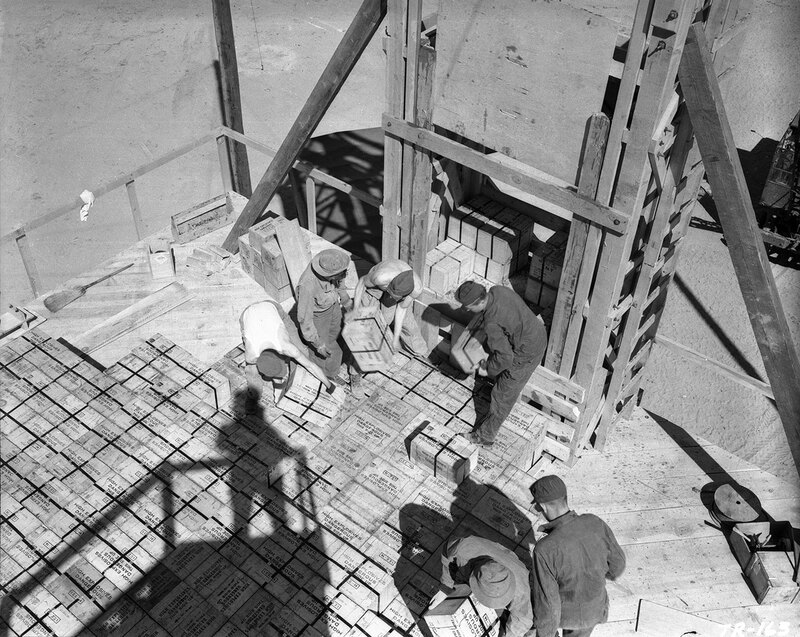 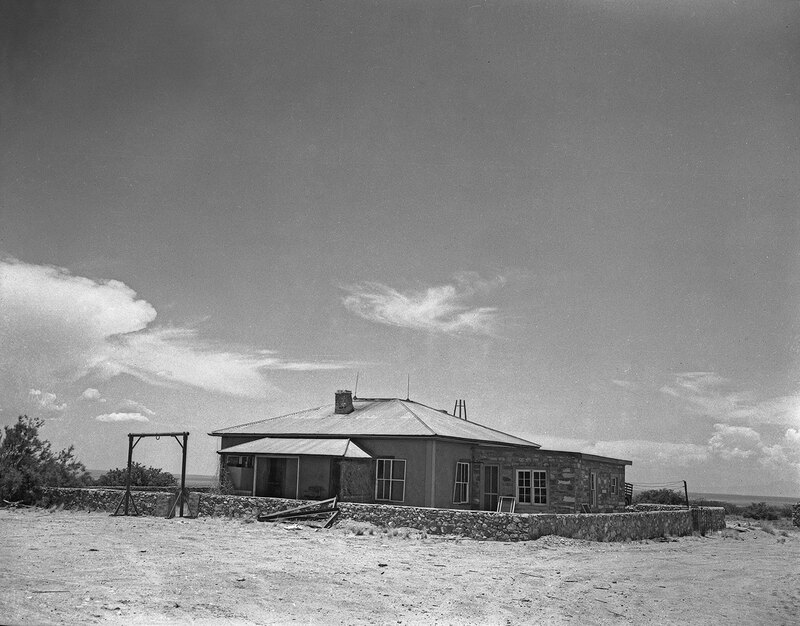 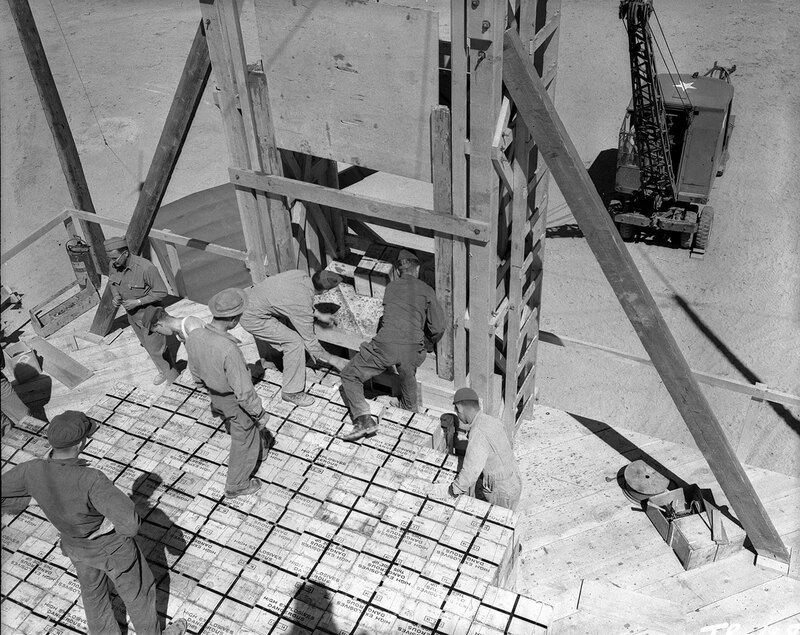 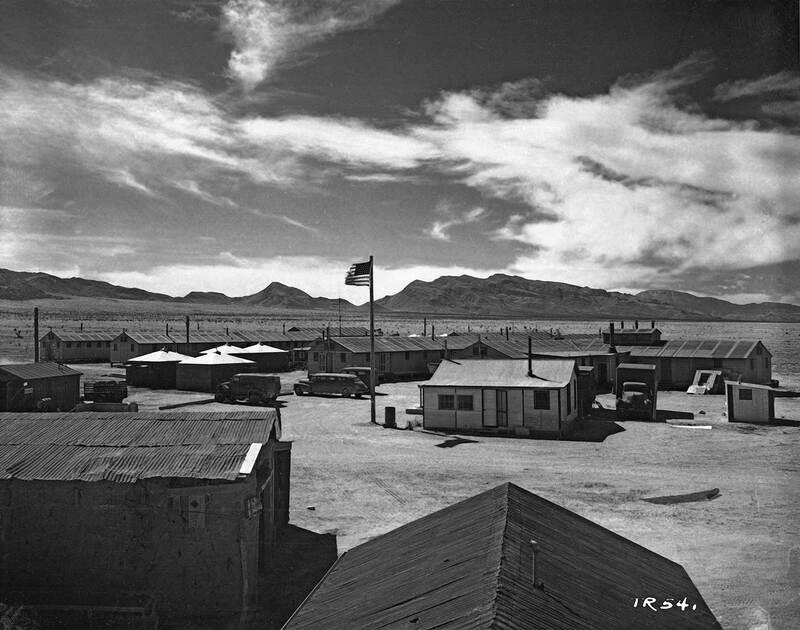 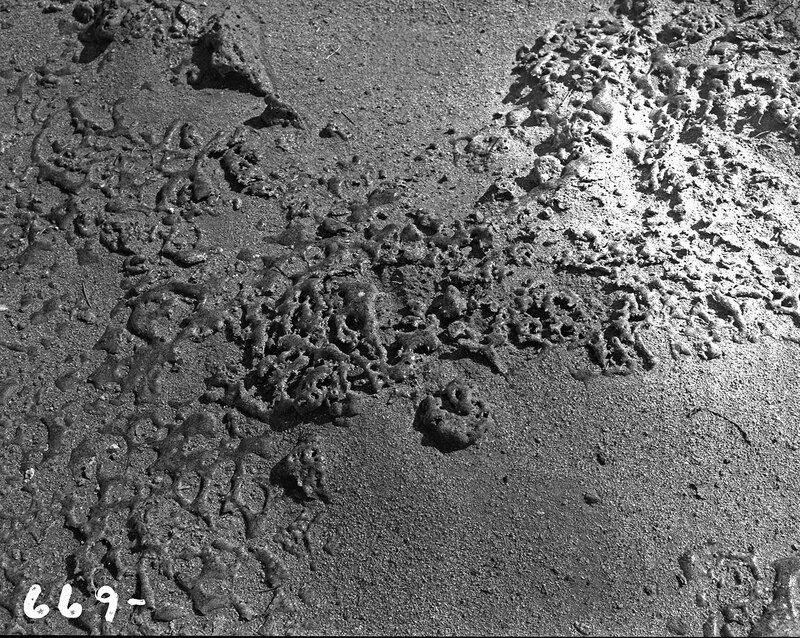 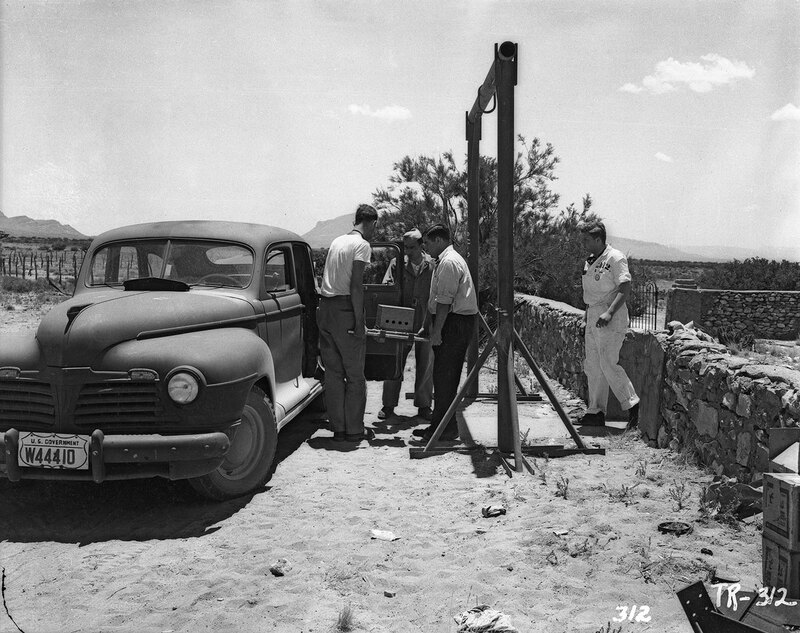 Photo courtesy of Los Alamos National Laboratory.